I am a Senior Researcher at Microsoft Research, currently located in Israel. I was a Researcher at Microsoft Research Silicon Valley (Mountain View, California) from 2007 to 2014. Till July 2007 I was a post-doc at the University of California at Berkeley, working with Prof. John Chuang. Prior to my post-doc, I was a graduate student at the School of Computer Science and Engineering at the Hebrew University, Jerusalem, Israel, where my advisor was Prof. Noam Nisan. My PhD thesis was on “Strategic Aspects of Computational Markets.” I have a M.Sc. in Computer Science and a B.Sc. in Computer Science and Mathematics, both from the Hebrew University. I am serving on the editorial boards of ACM TEAC and GEB. I have served as Program co-Chair of ACM-EC 2017, as General Chair of ACM-EC 2014 and as Program co-Chair of NetEcon 2016. My research interests are in subjects on the border of Computer Science Theory, Game Theory, and Microeconomic Theory. In particular, I am interested in the theoretical foundations of Economics and Computation. Moshe Babaioff, Yannai A. Gonczarowski and Assaf Romm, Playing on a Level Field: Sincere and Sophisticated Players in the Boston Mechanism with a Coarse Priority Structure, Oct. 2018. Ittai Abraham, Susan Athey, Moshe Babaioff, and Michael Grubb, Peaches, Lemons, and Cookies: Designing Auction Markets with Dispersed Information, no. MSR-TR-2011-68, January 2011. Moshe Babaioff, Nicole Immorlica, Brendan Lucier, and S. Matthew Weinberg, A Simple and Approximately Optimal Mechanism for an Additive Buyer, in SIGecom Exchange, vol. 13, no. 2, pp. 31–35, ACM, December 2014. Moshe Babaioff, Shahar Dobzinski, Sigal Oren, and Aviv Zohar, On Bitcoin and Red Balloons, in ACM SIGecom Exchange, vol. 10, no. 3, pp. 5–9, ACM, 2011. Moshe Babaioff, Nicole Immorlica, David Kempe, and Robert Kleinberg, Online Auctions and Generalized Secretary Problems, in SIGecom Exchange, vol. 7, no. 2, pp. 1–11, ACM, 2008. Moshe Babaioff, Truthful Mechanisms for One-Parameter Agents, in Encyclopedia of Algorithms, Springer Verlag, 2008. Moshe Babaioff, John Chuang, and Michal Feldman, Incentives in Peer-to-Peer Systems, in Algorithmic Game Theory, Cambridge University Press, 2007. Moshe Babaioff and William E. Walsh, Incentive-Compatible Supply Chain Auctions, in Multiagent-Based Supply Chain Management, Springer Verlag, August 2006. Moshe Babaioff, Noam Nisan and Inbal Talgam-Cohen, Fair Allocation through Competitive Equilibrium from Generic Incomes, in the 2nd ACM Conference on Fairness, Accountability, and Transparency (ACM FAT* 2019), Jan. 2019. Moshe Babaioff and Sigal Oren, Incentives and Coordination in Bottleneck Models, in the 14th Conference on Web and Internet Economics (WINE 2018), Dec. 2018. Moshe Babaioff, Shahar Dobzinski and Sigal Oren, Combinatorial Auctions with Endowment Effect, in ACM Conference on Economics and Computation (ACM-EC 2018), June 2018. Moshe Babaioff, Yang Cai, Yannai A. Gonczarowski and Mingfei Zhao, The Best of Both Worlds: Asymptotically Efficient Mechanisms with a Guarantee on the Expected Gains-From-Trade, in ACM Conference on Economics and Computation (ACM-EC 2018), June 2018. Moshe Babaioff,Noam Nisan and Aviad Rubinstein, Optimal Deterministic Mechanisms for an Additive Buyer, in ACM Conference on Economics and Computation (ACM-EC 2018), June 2018. Moshe Babaioff, Yannai A. Gonczarowski, Yishay Mansour and Shay Moran, Are Two (Samples) Really Better Than One? On the Non-Asymptotic Performance of Empirical Revenue Maximization, in ACM Conference on Economics and Computation (ACM-EC 2018), June 2018. Noga Alon, Moshe Babaioff, Yannai A. Gonczarowski, Yishay Mansour, Shay Moran and Amir Yehudayoff, Submultiplicative Glivenko-Cantelli and Uniform Convergence of Revenues, The 29th Annual Conference on Neural Information Processing Systems (NIPS 2017), December 2017. Spotlight presentation (3.5% of submissions). Moshe Babaioff, Yannai A. Gonczarowski, Noam Nisan, The menu-size complexity of revenue approximation. The 49th Annual ACM SIGACT Symposium on Theory of Computing (STOC 2017), June 2017. Moshe Babaioff, Yishay Mansour, Noam Nisan, Gali Noti, Carlo Curino, Nar Ganapathy, Ishai Menache, Omer Reingold, Moshe Tennenholtz, Erez Timnat, ERA: A Framework for Economic Resource Allocation for the Cloud. The 26th International Conference on World Wide Web (WWW Companion Volume), April 2017. Moshe Babaioff, Liad Blumrosen, and Noam Nisan, Selling Complementary Goods: Dynamics, Efficiency and Revenue, in The 44th International Colloquium on Automata, Languages and Programming (ICALP 2017), July 2017. Moshe Babaioff, Liad Blumrosen, and Noam Nisan, Networks of Complements, in The 43rd International Colloquium on Automata, Languages and Programming (ICALP 2016), July 2016. Moshe Babaioff, Renato Paes Leme, and Balasubramanian Sivan, Price Competition, Fluctuations, and Welfare Guarantees, in ACM Conference on Economics and Computation (ACM-EC 2015), June 2015. Moshe Babaioff, Moran Feldman, and Moshe Tennenholtz, Mechanism Design with Strategic Mediators, in The 6-th Innovations in Theoretical Computer Science (ITCS) conference, January 2015. Moshe Babaioff, Nicole Immorlica, Brendan Lucier, and S. Matthew Weinberg, A Simple and Approximately Optimal Mechanism for an Additive Buyer, in Symposium on Foundations of Computer Science (FOCS 2014), October 2014. Moshe Babaioff and Eyal Winter, Contract Complexity, in ACM Conference on Economics and Computation (ACM-EC 2014), June 2014. Moshe Babaioff, Brendan Lucier, Noam Nisan, and Renato Paes Leme, On the Efficiency of the Walrasian Mechanism, in ACM Conference on Economics and Computation (ACM-EC 2014), June 2014. Moshe Babaioff, Noam Nisan, and Renato Paes Leme, Price Competition in Online Combinatorial Markets, in The 23rd International World Wide Web Conference (WWW 2014), April 2014. Ittai Abraham, Susan Athey, Moshe Babaioff, and Michael Grubb, Peaches, Lemons, and Cookies: Designing Auction Markets with Dispersed Information, in ACM Conference on Electronic Commerce (ACM-EC 2013), June 2013. Moshe Babaioff, Robert Kleinberg, and Aleksandrs Slivkins, Multi-parameter Mechanisms with Implicit Payment Computation, in ACM Conference on Electronic Commerce (ACM-EC 2013), June 2013. Moshe Babaioff, Brendan Lucier, and Noam Nisan, Bertrand Networks, in ACM Conference on Electronic Commerce (ACM-EC 2013), June 2013. Moshe Babaioff, Shaddin Dughmi, Robert Kleinberg, and Aleksandrs Slivkins, Dynamic Pricing with Limited Supply, in ACM Conference on Electronic Commerce (EC’12), June 2012. Moshe Babaioff, Shahar Dobzinski, Sigal Oren, and Aviv Zohar, On Bitcoin and Red Balloons, in ACM Conference on Electronic Commerce (EC’12), June 2012. Moshe Babaioff, Robert Kleinberg, and Renato Paes Leme, Optimal Mechanisms for Selling Information, in ACM Conference on Electronic Commerce (EC’12), June 2012. Noga Alon, Moshe Babaioff, Ron Karidi, Ron Lavi, and Moshe Tennenholtz, Sequential Voting with Externalities: Herding in Social Networks, in ACM Conference on Electronic Commerce (EC’12), June 2012. Ittai Abraham, Moshe Babaioff, Shaddin Dughmi, and Tim Roughgarden, Combinatorial Auctions with Restricted Complements, in ACM Conference on Electronic Commerce (EC’12), June 2012. Moshe Babaioff, Liad Blumrosen, Nicolas Lambert, and Omer Reingold, Only Valuable Experts Can Be Valued, in ACM Conference on Electronic Commerce (EC’11), June 2011. Moshe Babaioff, Shaddin Dughmi, and Aleksandrs Slivkins, Detail-free, Posted-Price Mechanisms for Limited Supply Online Auctions, in Workshop on Bayesian Mechanism Design, June 2011. Moshe Babaioff, Liad Blumrosen, Shaddin Dughmi, and Yaron Singer, Posting Prices with Unknown Distributions, in Innovations in Computer Science (ICS), Tsinghua University Press, January 2011. Moshe Babaioff, Robert Kleinberg, and Aleksandrs Slivkins, Truthful Mechanisms with Implicit Payment Computation, in ACM Conference on Electronic Commerce (EC’10), June 2010. Moshe Babaioff, Liad Blumrosen, and Aaron Roth, Auctions with Online Supply, in ACM Conference on Electronic Commerce (EC’10), 2010. Moshe Babaioff and Tim Roughgarden, Equilibrium Efficiency and Price Complexity in Sponsored Search Auctions, in Sixth Ad Auctions Workshop, Microsoft Research, 2010. Moshe Babaioff, Michal Feldman, and Noam Nisan, Free-Riding and Free-Labor in Combinatorial Agency, in The 2-nd International Symposium on Algorithmic Game Theory (SAGT), October 2009. Moshe Babaioff, Yogeshwer Sharma, and Aleksandrs Slivkins, Characterizing Truthful Multi-Armed Bandit Mechanisms, in ACM Conference on Electronic Commerce (EC’09), July 2009. Liad Blumrosen, Aaron Roth, and Moshe Babaioff, Auctions with Online Supply, in Fifth Workshop on Ad Auctions, July 2009. Moshe Babaioff, Jason Hartline, and Robert Kleinberg, Selling Ad Campaigns: Online Algorithms with Cancellations, in ACM Conference on Electronic Commerce (EC’09), July 2009. Moshe Babaioff, Michael Dinitz, Anupam Gupta, Nicole Immorlica, and Kunal Talwar, Secretary Problems: Weights and Discounts, in Symposium on Discrete Algorithms (SODA’09), January 2009. Moshe Babaioff, Liad Blumrosen, Moni Naor, and Michael Schapira, Informational overhead of incentive compatibility, in ACM conference on Electronic Commerce (EC’08), 2008. Moshe Babaioff, Patrick Briest, and Piotr Krysta, On the Approximability of Combinatorial Exchange Problems, in International Symposium on Algorithmic Game Theory (SAGT’08), 2008. Moshe Babaioff, Jason Hartline, and Robert Kleinberg, Selling Banner Ads: Online Algorithms with Buyback, in The Fourth Workshop on Ad Auctions (SSA’08), 2008. Moshe Babaioff and John Chuang, On the Optimality and Interconnection of Valiant Load-Balancing Networks, in IEEE International Conference on Computer Communications (INFOCOM’07), 2007. Moshe Babaioff, Robert Kleinberg, and Christos H. Papadimitriou, Congestion games with malicious players, in ACM Conference on Electronic Commerce (EC’07), 2007. Moshe Babaioff, Nicole Immorlica, and Robert Kleinberg, Matroids, secretary problems, and online mechanisms, in Symposium on Discrete Algorithms (SODA’07), 2007. Moshe Babaioff, Nicole Immorlica, David Kempe, and Robert Kleinberg, A Knapsack Secretary Problem with Applications, in APPROX-RANDOM’07, 2007. Moshe Babaioff, Ron Lavi, and Elan Pavlov, Single-value combinatorial auctions and implementation in undominated strategies, in Symposium on Discrete Algorithms (SODA’06), 2006. Moshe Babaioff, Michal Feldman, and Noam Nisan, Combinatorial agency, in ACM Conference on Electronic Commerce (EC’06), 2006. Moshe Babaioff, Ron Lavi, and Elan Pavlov, Impersonation-Based Mechanisms, in AAAI, 2006. Moshe Babaioff, Michal Feldman, and Noam Nisan, Mixed Strategies in Combinatorial Agency, in Internet and Network Economics (WINE’06), 2006. Moshe Babaioff, Ron Lavi, and Elan Pavlov, Mechanism Design for Single-Value Domains, in National Conference on Artificial Intelligence (AAAI 2005), 2005. Moshe Babaioff, Noam Nisan, and Elan Pavlov, Mechanisms for a spatially distributed market, in ACM Conference on Electronic Commerce (EC’04), 2004. Moshe Babaioff and Liad Blumrosen, Computationally-Feasible Truthful Auctions for Convex Bundles, in APPROX-RANDOM, 2004. Moshe Babaioff and William E. Walsh, Incentive-compatible, budget-balanced, yet highly efficient auctions for supply chain formation, in ACM Conference on Electronic Commerce (EC’03), 2003. Moshe Babaioff and Noam Nisan, Concurrent Auctions Across the Supply Chain, in The Third ACM Conference on Electronic Commerce (EC’01), 2001. Moshe Babaioff, Nicole Immorlica, David Kempe and Robert Kleinberg, Matroid Secretary Problems, Journal of the ACM (JACM), to appear, 2018. 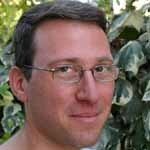 Moshe Babaioff, Liad Blumrosen, Shaddin Dughmi, Yaron Singer, Posting Prices with Unknown Distributions, in ACM Transactions on Economics and Computation (TEAC), 5(2): 13:1-13:20, 2017. Moshe Babaioff, Moran Feldman, and Moshe Tennenholtz, Mechanism Design with Strategic Mediators, in ACM Transactions on Economics and Computation (TEAC), vol. 4, no. 2, pp. 7:1–7:48, January 2016. Moshe Babaioff, Robert Kleinberg, and Aleksandrs Slivkins, Truthful Mechanisms with Implicit Payment Computation, in Journal of the ACM (JACM), vol. 62, no. 2, ACM, May 2015. Moshe Babaioff, Liad Blumrosen, and Aaron Roth, Auctions with Online Supply, in Games and Economic Behavior (GEB), vol. 90, pp. 227–246, Elsevier, March 2015. Moshe Babaioff, Shaddin Dughmi, Robert Kleinberg, and Aleksandrs Slivkins, Dynamic Pricing with Limited Supply, in ACM Transactions on Economics and Computation (TEAC), 3(1): 4:1-4:26, 2015. Moshe Babaioff, Yogeshwer Sharma, and Aleksandrs Slivkins, Characterizing Truthful Multi-armed Bandit Mechanisms, in SIAM Journal on Computing (SICOMP), vol. 43, no. 1, pp. 194-230, 2014. Moshe Babaioff, Liad Blumrosen, and Michael Schapira, The communication burden of payment determination, in Games and Economic Behavior (GEB), vol. 77, no. 1, pp. 153 – 167, 2013. Moshe Babaioff, Michal Feldman, Noam Nisan, and Eyal Winter, Combinatorial Agency, in Journal of Economic Theory (JET), 2011. Moshe Babaioff, Michal Feldman, and Noam Nisan, Mixed Strategies in Combinatorial Agency, in Journal of Artificial Intelligence Research (JAIR), vol. 38, pp. 339-369, American Association for Artificial Intelligence , 2010. Moshe Babaioff, Ron Lavi, and Elan Pavlov, Single-Value Combinatorial Auctions and Algorithmic Implementation in Undominated Strategies, in Journal of the ACM (JACM), vol. 56, no. 1, January 2009. Moshe Babaioff, Robert Kleinberg, and Christos H. Papadimitriou, Congestion Games with Malicious Players, in Games and Economic Behavior (GEB), vol. 67, no. 1, pp. 22-35, Elsevier , September 2009. Moshe Babaioff, Noam Nisan, and Elan Pavlov, Mechanisms for a Spatially Distributed Market, in Games and Economic Behavior (GEB), vol. 66, no. 2, pp. 660-684, Elsevier , July 2009. Moshe Babaioff and Liad Blumrosen, Computationally-feasible truthful auctions for convex bundles, in Games and Economic Behavior (GEB), vol. 63, no. 2, pp. 588-620, Elsevier , July 2008. Moshe Babaioff and William E. Walsh, Incentive-compatible, budget-balanced, yet highly efficient auctions for supply chain formation, in Decision Support Systems (DSS), vol. 39, no. 1, pp. 123-149, 2005. Moshe Babaioff and Noam Nisan, Concurrent Auctions Across The Supply Chain, in J. Artif. Intell. Res. (JAIR), vol. 21, pp. 595-629, 2004. You can find bibliographic information for my publications on the DBLP Computer Science Bibliography. I am serving as a co-editor of the special issue of ACM TEAC on selected papers from ACM-EC 2017. I am also serving on the editorial boards of the journals ACM TEAC and GEB. Program co-Chair of ACM-EC 2017. General Chair of ACM-EC 2014. Program co-Chair of NetEcon 2016. Senior Program Committee member of ACM-EC 2018, ACM-EC 2016, IJCAI 2015, ACM-EC 2013, IJCAI 2013 and ACM-EC 2012. Workshop chair for ACM-EC 2013. Co-organizer of the Ad Auctions Workshop 2010. Program Committee member of WINE 2016, WINE 2015, EC 2015, NetEcon 2015, STOC 2014, WINE 2013, SAGT 2013, Ad Auctions Workshop 2012, SAGT 2011, AMMA 2011, Ad Auctions Workshop 2011, EC 2011, WINE 2010, EC 2010, AAAI 2010, WWW 2010, WINE 2009, EC 2009, IJCAI 2009, Workshop on Ad Auctions 2008, EC 2008 and AAAI 2008. Co-organizer of the The Bay Algorithmic Game Theory Symposium (BAGT), 1 through 6.